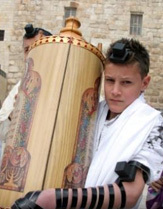 Our Bar and Bat Mitzvah tours are well known throughout the Jewish World. in the USA and in Canada. In addition to organizing hotels, guides and buses, we plan the Bar and Bat Mitzvah ceremonies, on top of Masada, at the Western Wall at the Southern Wall excavations or at any other unique and memorable location. We recruit the Rabbi, organize the ceremony, plan the festival meal. Book the entertainment, arrange for special surprises for the celebrating family and combine all of these with an unforgettable tour of Israel. We take care of even the minutest details, leaving the families free to enjoy the special, once-in-a-life-time experience.